You may think of mountain gorillas as something that should provoke a fight or flight response if encountered in the wild. They are anything but. 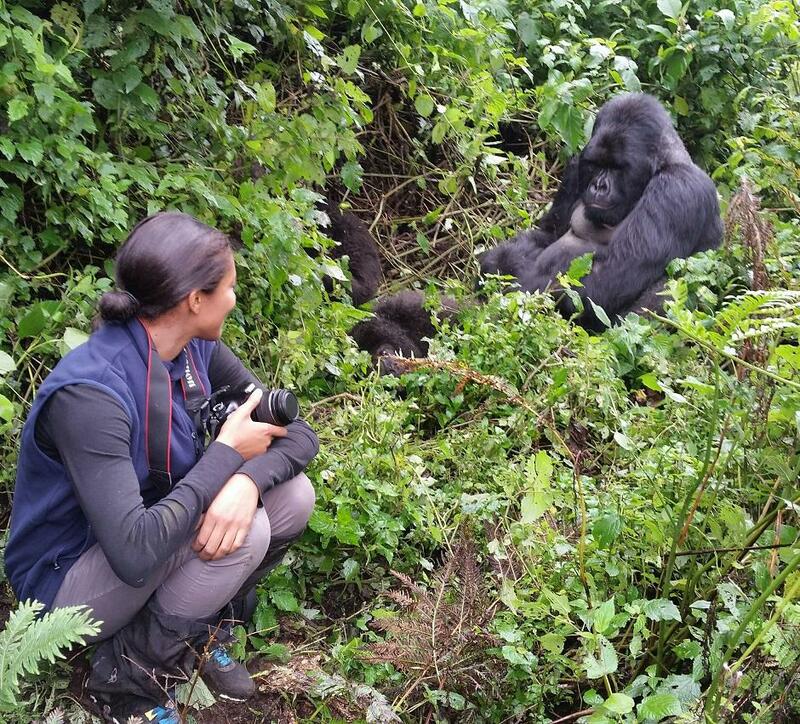 In Rwanda, people treasure a visit with the endangered Silverback Mountain gorillas who are surprisingly playful and relaxed in human presence. The Silverback gorillas are located in Rwanda’s Volcanoes National Park, which contains around 10 different gorilla families. 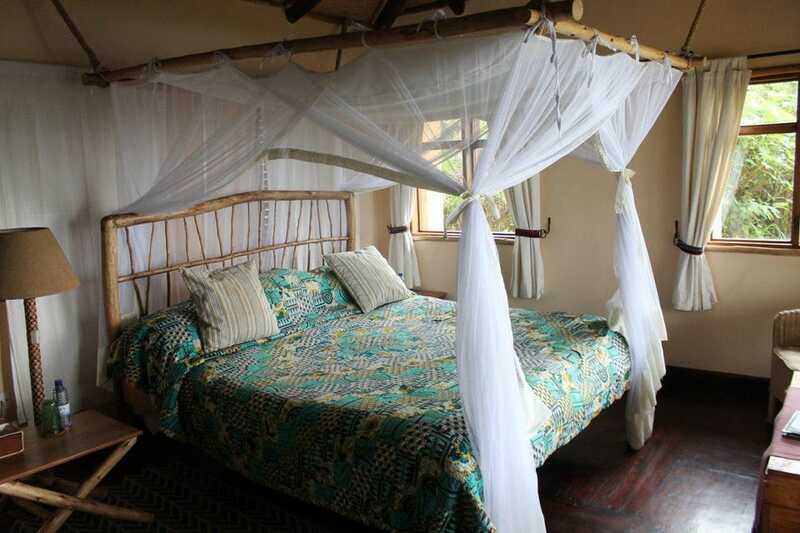 Praveen Moman, the owner of the Volcanoes Safaris tour company, designed Rwanda’s Virunga eco-luxury lodge located in close proximity to Volcanoes National Park. Moman blends luxury accommodations, eco-tourism, and community service. “You can’t just build luxury, you have to connect with the community, however big or small”, he says. Guests to the Virunga lodge sign up for a two hour hike for a life-changing encounter with a gorilla family in the Park. A percentage of proceeds from Volcanoes Safaris tourism dollars is allocated towards community outreach in the surrounding villages, which include beehive initiatives, agricultural support, and education. 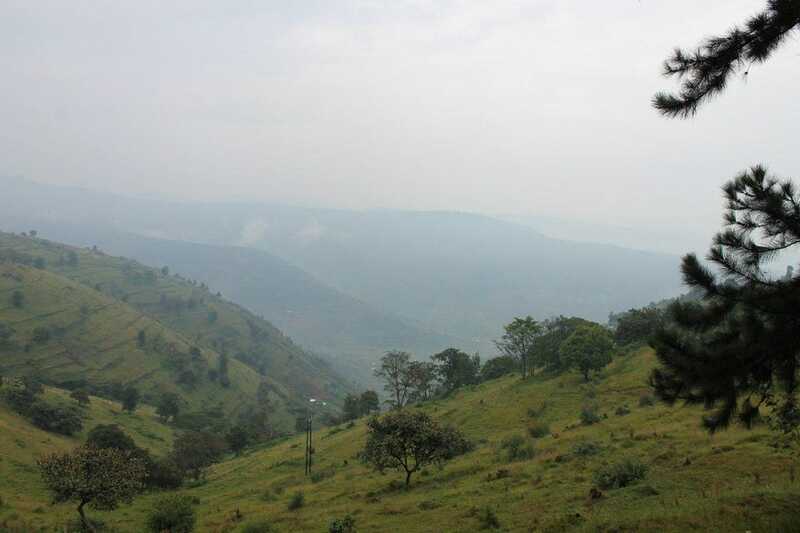 Rwanda is called “the land of a thousand hills”, a green undulating landscape of crops, gardens and tea plantations. 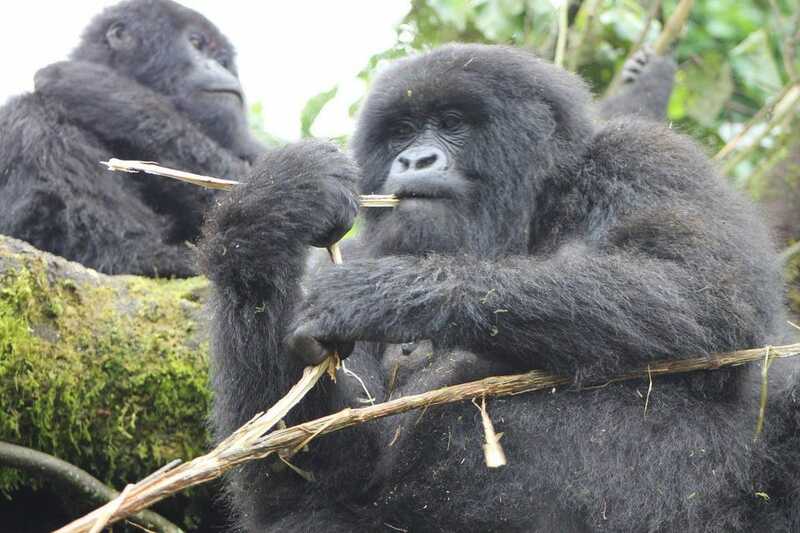 The country is also home to a third of the world’s remaining mountain gorillas, which attracts Rwanda’s largest tourism impact. A hike into the Volcanoes National Park begins with a brief orientation, and in groups of around eight, are guided up the volcano with the assistance of a tracker, guide, and porter. Depending on where the group starts their hike, trekkers may encounter fields of pyrenum crops, which are used by East Africans as a natural insecticide. During the hike (which could be muddy depending on if it rained the night before), your guide may describe the surrounding flora, and how certain species are used as medicines by the indigenous Batwa pygmy tribes. Mountain gorilla families can include between ten and thirty members, with a fully grown male silverback at the head of the family. 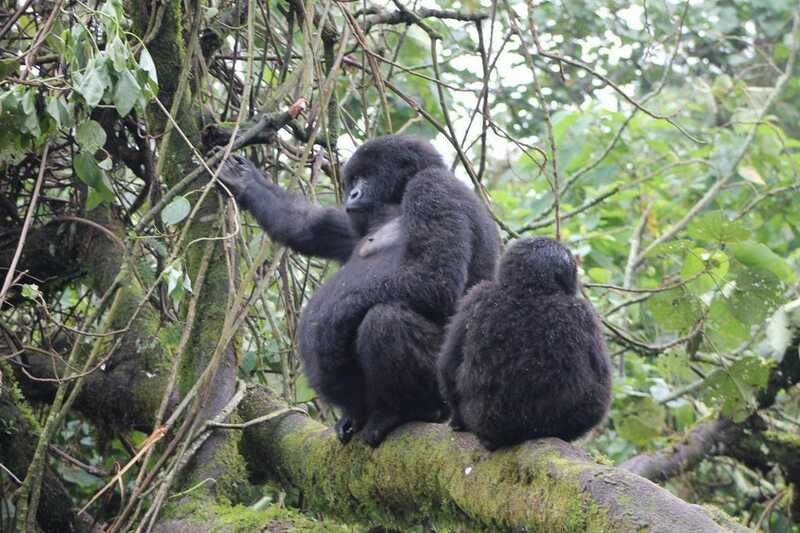 Because the gorilla families constantly move around the forest searching for food, the hike could take between one and two hours depending on their current location in the forest. When the magical moment arrives of finally encountering the family, the primates will be grooming, playing, and eating as if they never noticed the arrival of curious human onlookers. It will be shocking to see how close we were able to get to them without having any barriers. The guides use certain vocalizations around the gorillas that primate researchers like Dian Fossey have found to convey a message of peace. Appeased by the lack of threat, the gorillas will come out from their perches as they play or look for delicious stalks of bamboo. Additionally, they will take in some of the 142 varieties of plants represented in the silverback’s diet, including celery, nettles, thistles, succulent herbs, and wild berries. Playful baby gorillas will roll past visitors or wrestle with each other. One of the most interesting parts of watching the gorillas in their natural habitat is witnessing their human-like emotions and mannerisms. A female adult gorilla sat next to the lead silverback male and watched him as he was being groomed, much like a human couple would interact.